growing up with two brothers left me the as the lone girl and always wishing for a sister. someone who i could talk to about everything, vent to, share clothes with, go shopping with… all that good stuff. well, i didn’t get a sister (though i made my older brother play pretty pretty princess with me a time or two… i really wanted a dog too so i dressed up my younger borther as a puppy once. that was fun. i digress…), but i got something better – my momma,and my best friend. when i found this article from cosmopolitan i couldn’t resist sharing my favorites from the “15 Best Things About Being Close With Your Mom” along my own personal commentary and a couple extras just for fun. 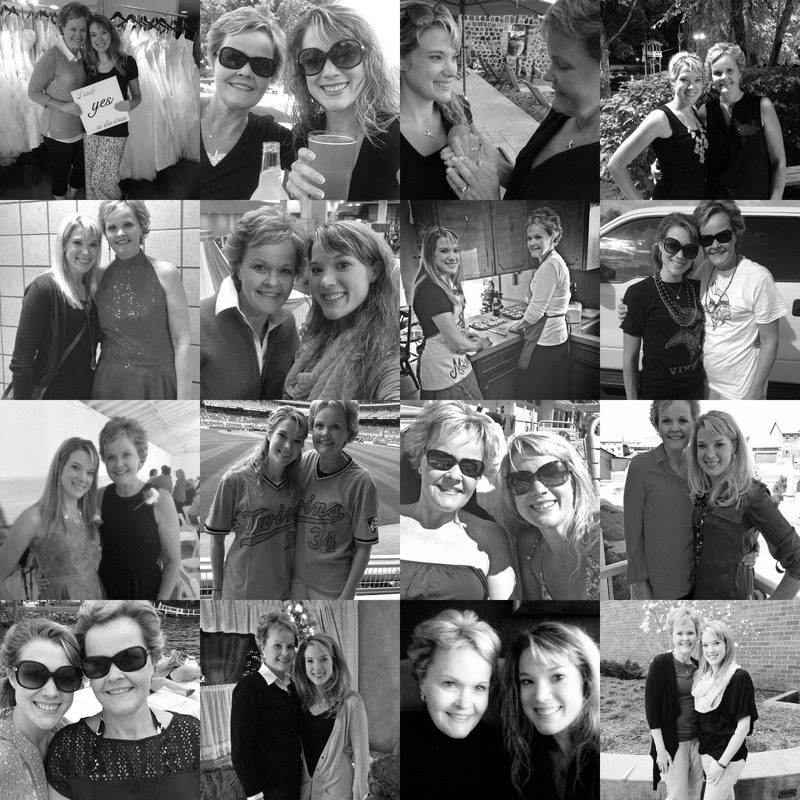 this one’s for you, momma – and all of us lucky ladies who have fabulous momma’s in our lives. you look forward to going home. always. i love going back home; to see my family, my house, everything that i grew up around. i don’t need a holiday, just a desire to see my family – or a desperate need to get my hair done. you have the most amazing role model in your life. yes. there is no one in the world i look up to and admire more. when something great happens there’s no doubt in your mind who you’ll call first. great things. terrible things. most any things. she’s my number one on speed dial. literally. you still use your phone to talk, but only to her. the typical question from [b] is how many times have you talked to your mom today? and he’s worried if the answer is only 1.
but now that she’s discovered texting it’s hilarious. it’s gotten better since she got her iPhone – the best ever was, “are you coming good spoon” – translation: are you coming home soon? you’re guaranteed at least one like/favorite on Facebok/Twitter/Instagram because she likes everything you do. thanks for always blowing up my likes and making me feel special momma! she’s the best person to go shopping with because she’s the only one who is completely honest. aside from my personal stylist tashy, mom’s my shopping pal always. and also because we take lunch breaks with wine. you already know how you’re going to parent your kids, because you’re going to raise them just how you were raised. shout out to pops on this one too. you guys are amazing. except maybe’ll i’ll give them a Barbie jeep. and not shove them out the door to make them take the bus. she sends you inspirational emails when she knows you’re having a bad week. in college i could always count on cards with quotes; then it was emails with motivationand and uplighting quotes; and now it’s texts with humorous or positive pictures. she always knows how to brighten my day. she is interested in every part of your life. there is no detail too small for her and she would never question that wanting to talk about what you saw on TV would warrent a phone call. she’s not afraid to be honest with you when it counts. because she knows what you need to hear. and that you know she wants the best for you no matter what. you don’t have to tell her that something’s wrong. because the second she picks up the phone she knows. she will always be your biggest cheerleader. and there to lift you up even if she is having a hard day. you don’t worry about turning into her, because you want to. i mean, why wouldn’t i? you know you will always have a best friend. because the truth is, even if she wasn’t my mom i would go out of my way to be her friend. meanwhile in MN | fall is here. and it’s beautiful.